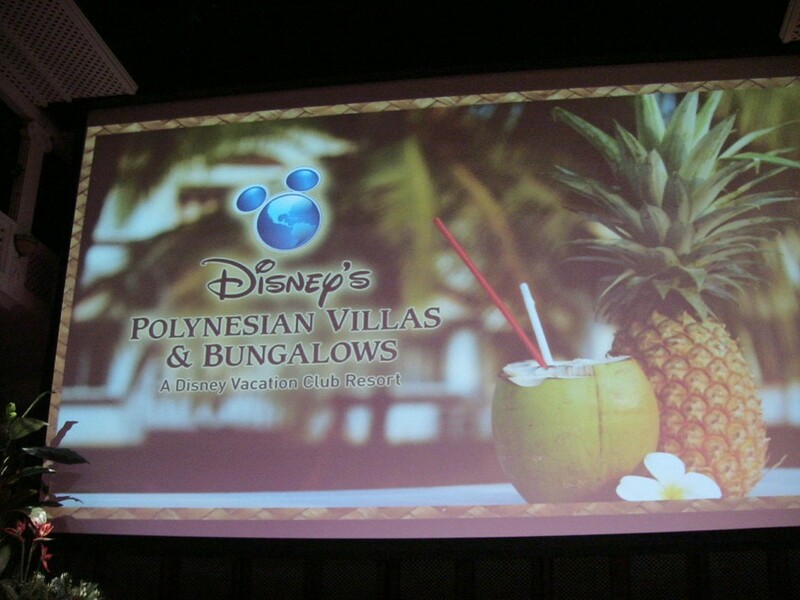 Recently, I had the pleasure of attending a preview of a Polynesian Village Resort DVC Deluxe Studio. 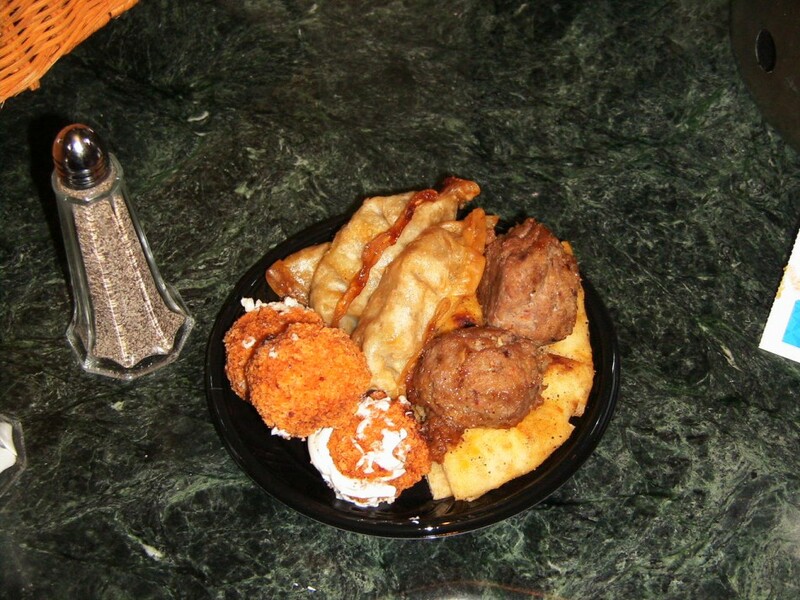 It was quite an elaborate affair with music, food and more. 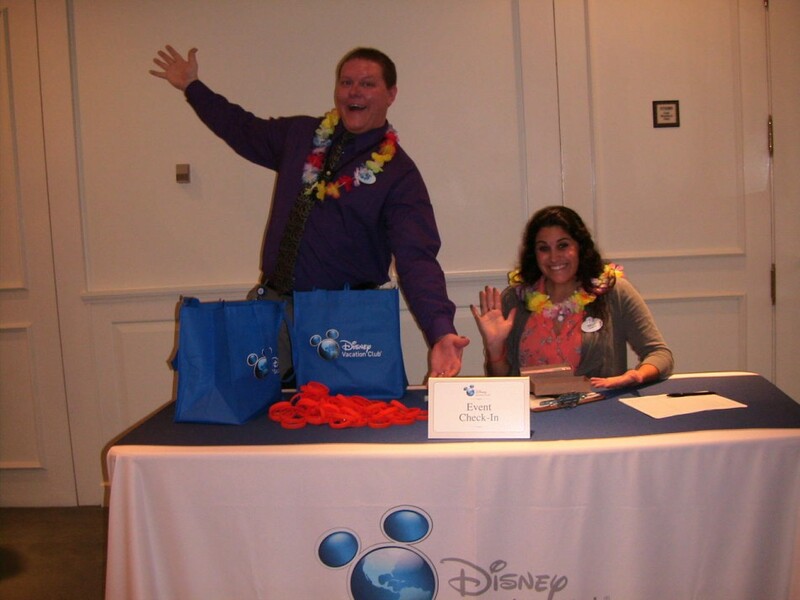 The event took place at Disney’s Saratoga Springs Resort (SSR) where the DVC Preview Center is located. 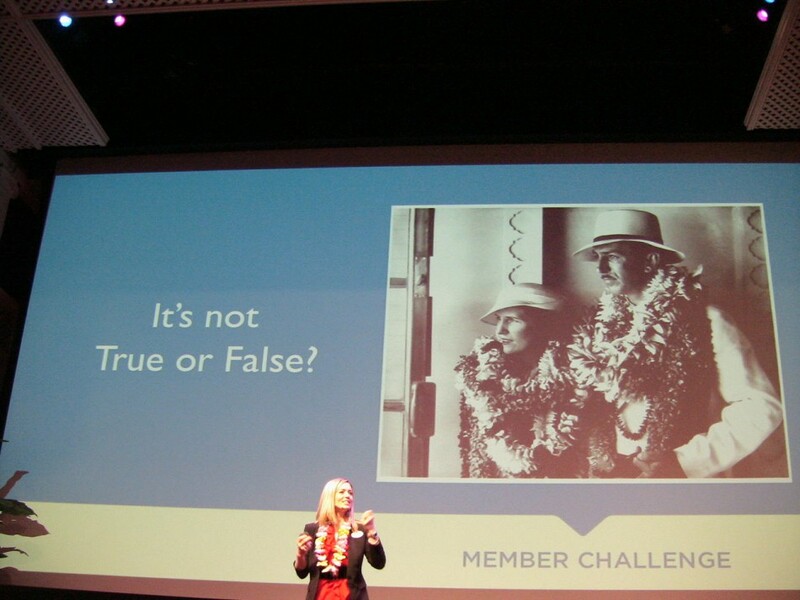 You had to sign up in advance to attend, either by an invitation sent to you from DVC or by signing up with a guide at a DVC kiosk at Walt Disney World. When I arrived at SSR, the Cast Member at the gate directed me to the Preview Center. It was very easy to find. When I got out of my car there were other Cast Members pointing the way to the building we would start out in. 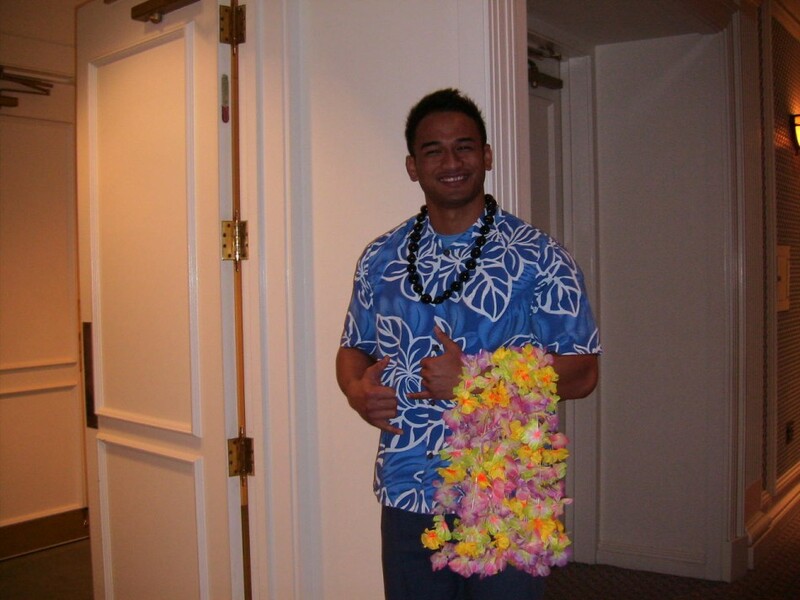 As I entered the building with my friend, we were heartily welcomed and presented with leis and an exclusive DVC pin. We were ushered into a small auditorium, where the first part of the evening would begin. 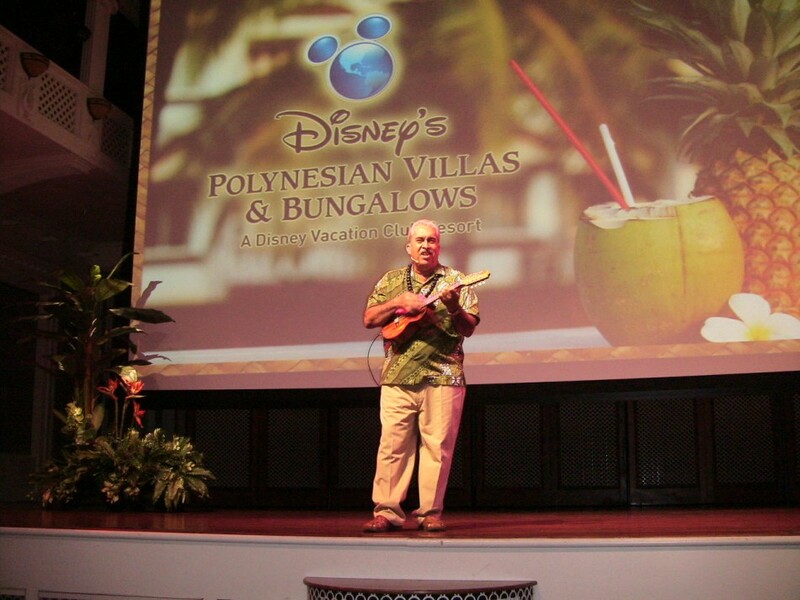 A Cast Member who was a ukulele player appeared and greeted the audience. He spoke of his love of the Polynesian culture and then asked us all to join in as he played and sang “Over the Rainbow”. 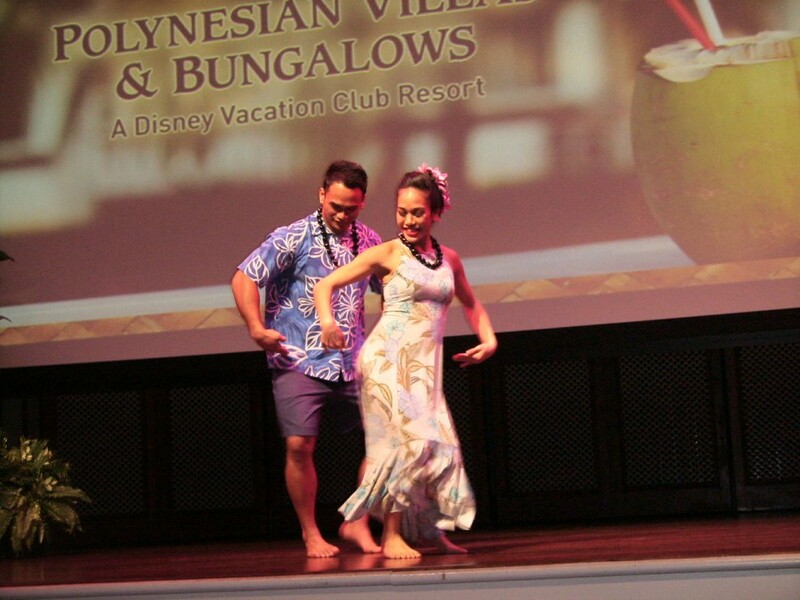 When we finished singing, two dancers (one male, one female) from the Polynesian’s Spirit of Aloha Dinner show came onto the stage. They danced beautifully, accompanied by the ukulele. 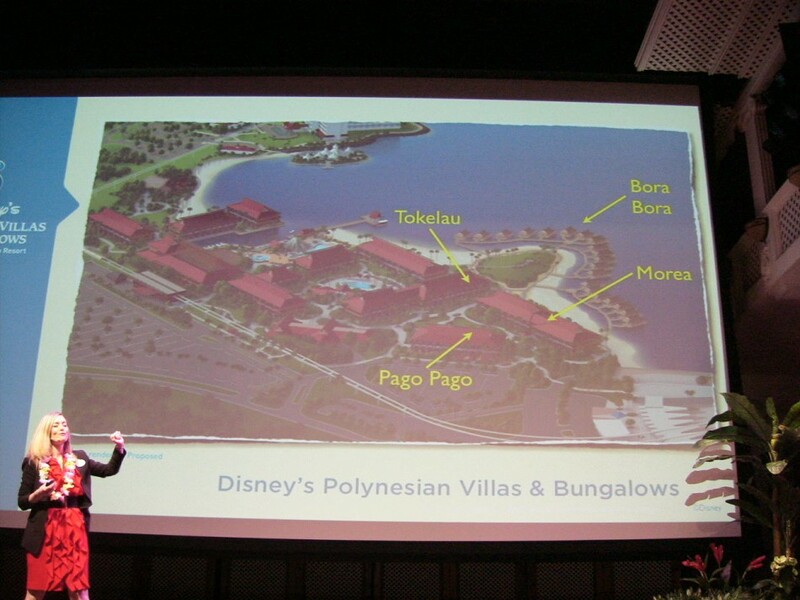 When they were finished, a short “General Information” DVC movie (about 2 minutes long) was shown on a screen in front of the auditorium. The dancers and ukulele player exited and a very perky DVC Cast Member came onto the stage. She was an excellent speaker using no notes during a rather lengthy presentation. She started with trivia questions, which were more challenging than I had expected. 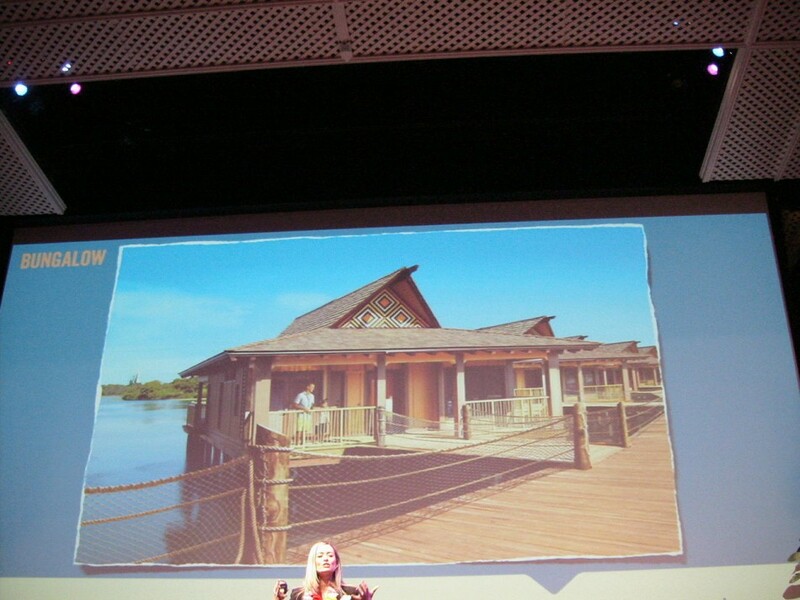 Then we saw a slide show with artists’ renderings of the new studio villas, as well as the Bungalows built right over the Seven Seas Lagoon that will sleep 8. 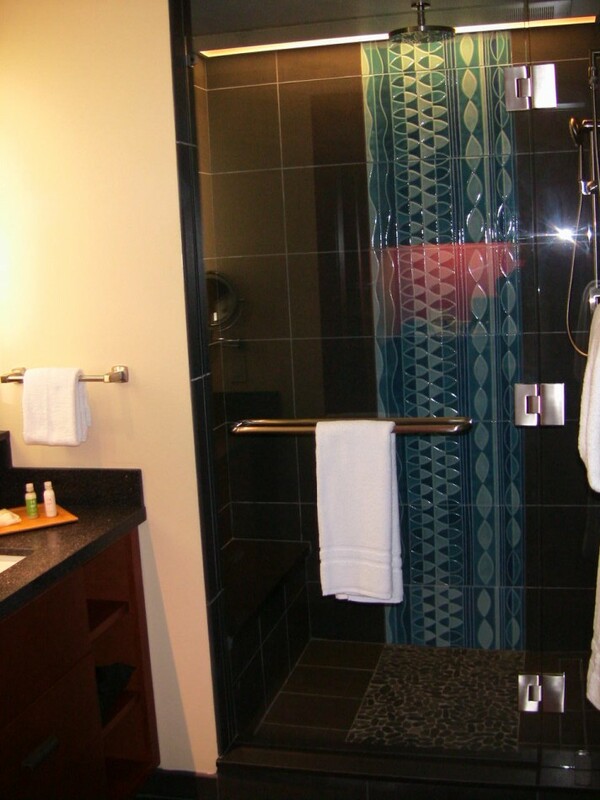 We were informed that the studios will have a split bathroom with two showers on either side of a wall. 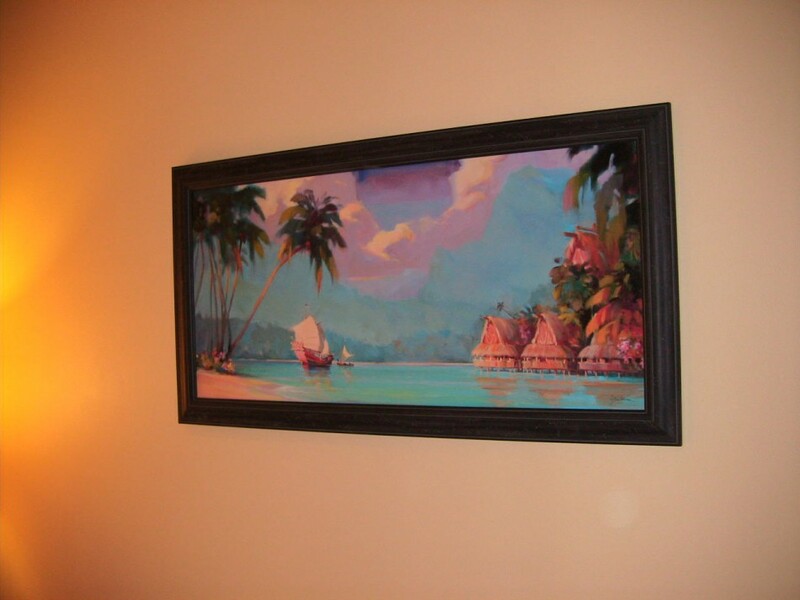 Much of the artwork in the studios is inspired by Mary Blair. 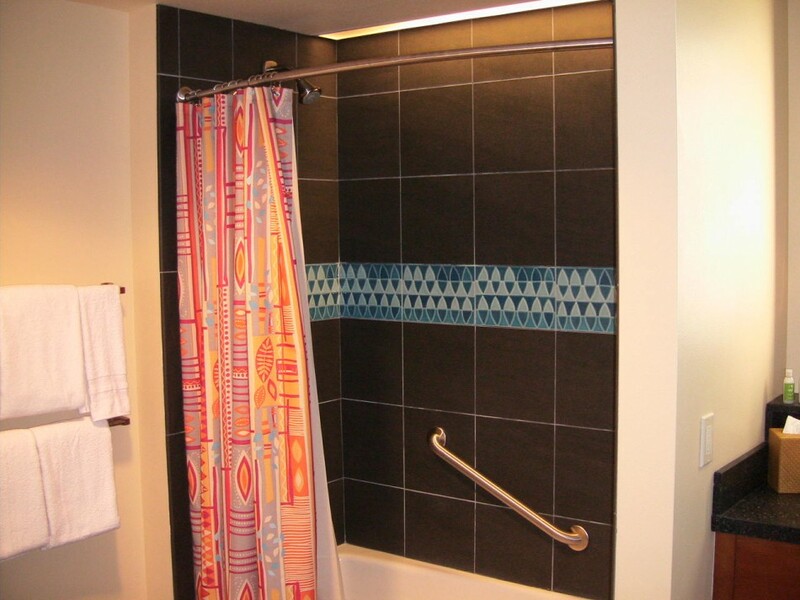 Although there will be no 1 Bedrooms, families will have the option of reserving two connecting studios. 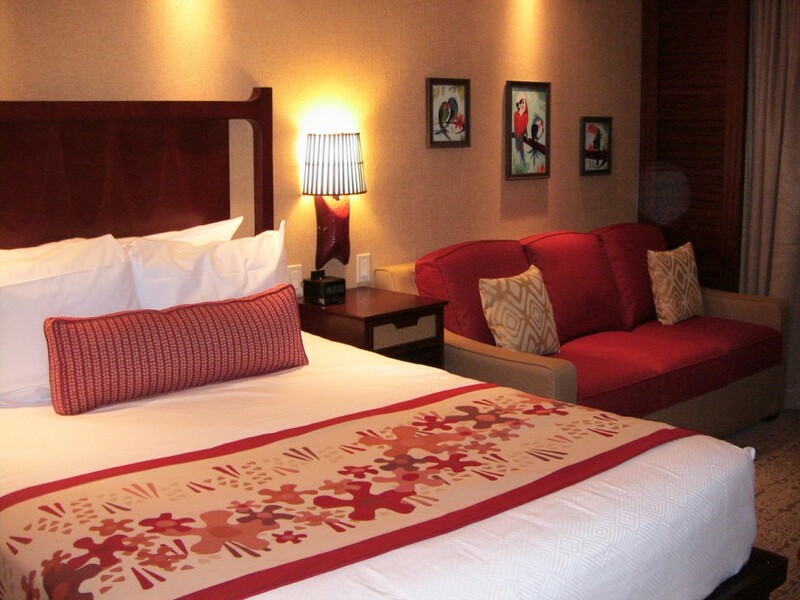 The studios sleep 5 and each has a pull down Murphy bed. 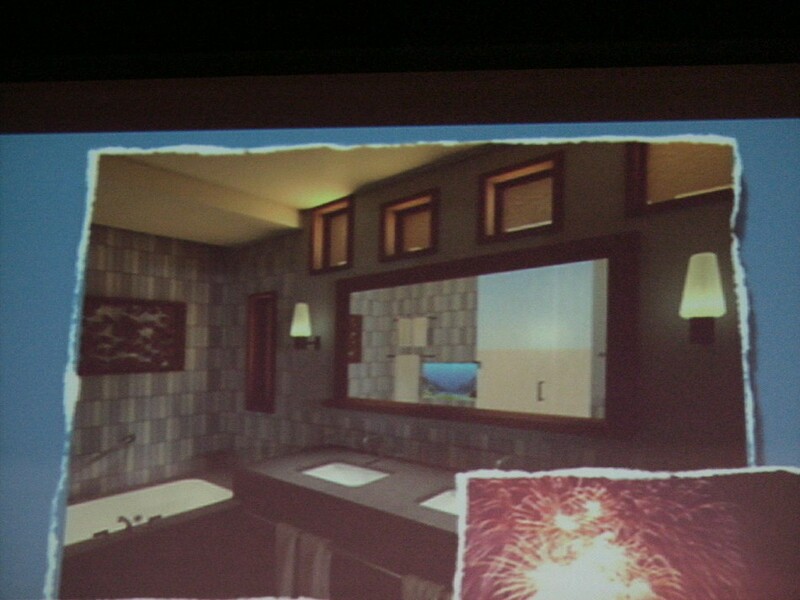 The bungalows, similar to the rooms at Bay Lake Towers, will have TVs embedded within the bathroom mirror, in addition to standard TV sets in the living room and bedrooms. Each bungalow will have its own plunge pool. 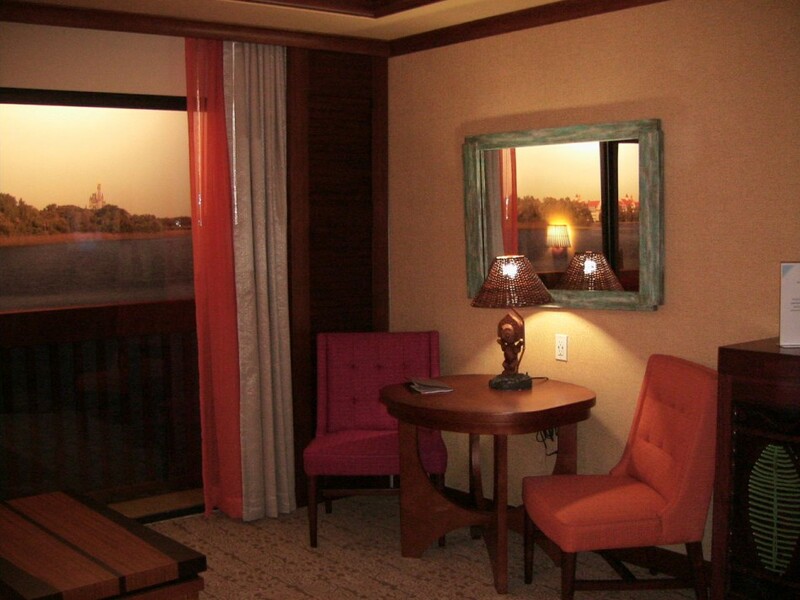 Full audio of Wishes fireworks at the Magic Kingdom will be piped onto each bungalow deck. The deeds for this new property will expire in 2066, guaranteeing 50 years of ownership if one so desires. There is an option to commit to a certain week every year at this property, although that is not required. Members’ price, guaranteed until 2/9/15, is $160/point. We were told that after 2/9/15 the Villas would become available to new members and that the price would be raised at that time. 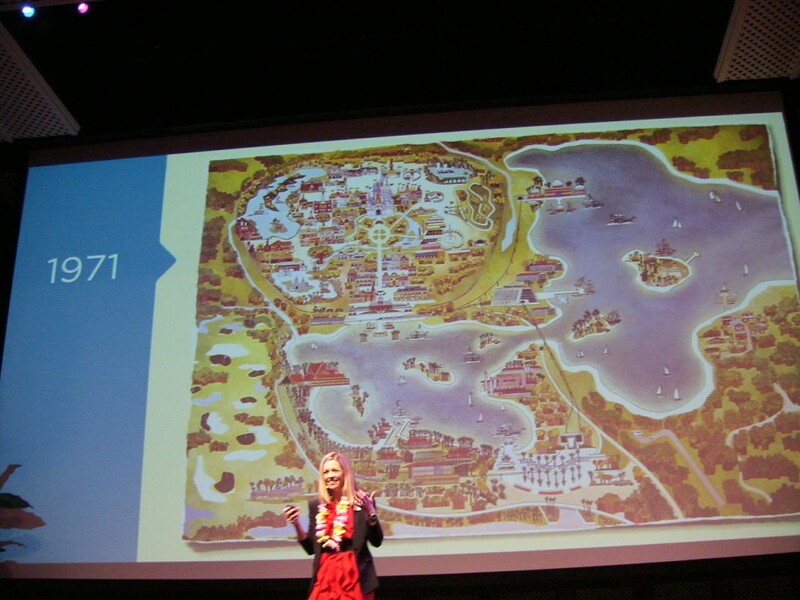 At the end of the presentation we were told a story about a man whose dying wife told him to buy DVC so the family would enjoy Walt Disney World when she was gone. I have to say that rubbed me the wrong way a little bit; it was depressing more than uplifting in my opinion. But then we were shown a very happy clip of kids being surprised that they were going to Walt Disney World RIGHT NOW – (I am sure many of you have seen similar clips on commercial TV). That was fun. The auditorium presentation lasted about an hour. Afterwards, we were broken up into groups. Our group was walked over to another building where Stitch was waiting to pose for pictures. 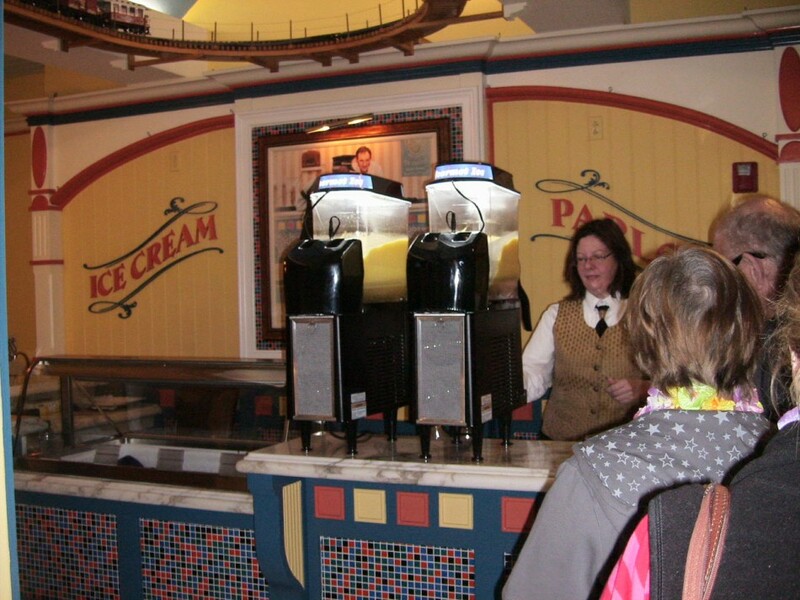 There were also Cast Members there handing out Dole Whips to the guests. We stayed about ten minutes and then were ushered over to the building where the model rooms were located. 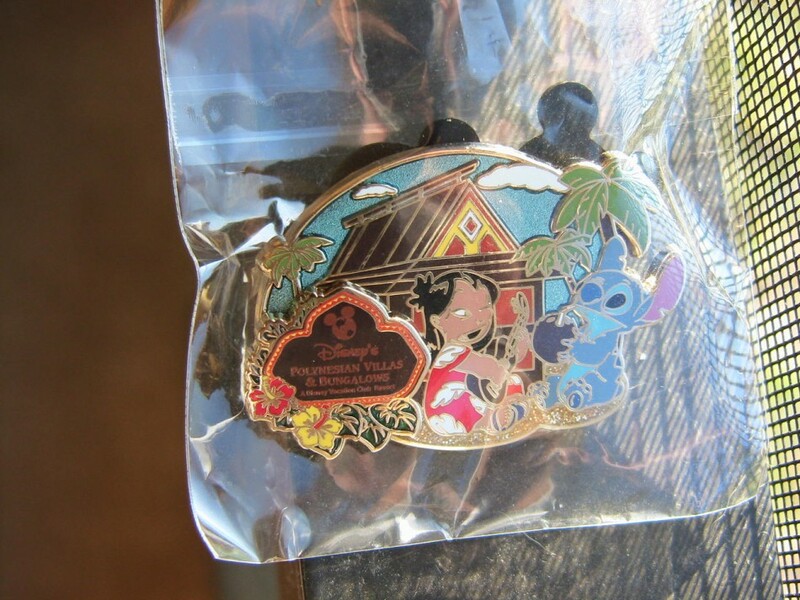 First the Cast Member asked if anyone wanted to see a model of Aulani or Grand Floridian. 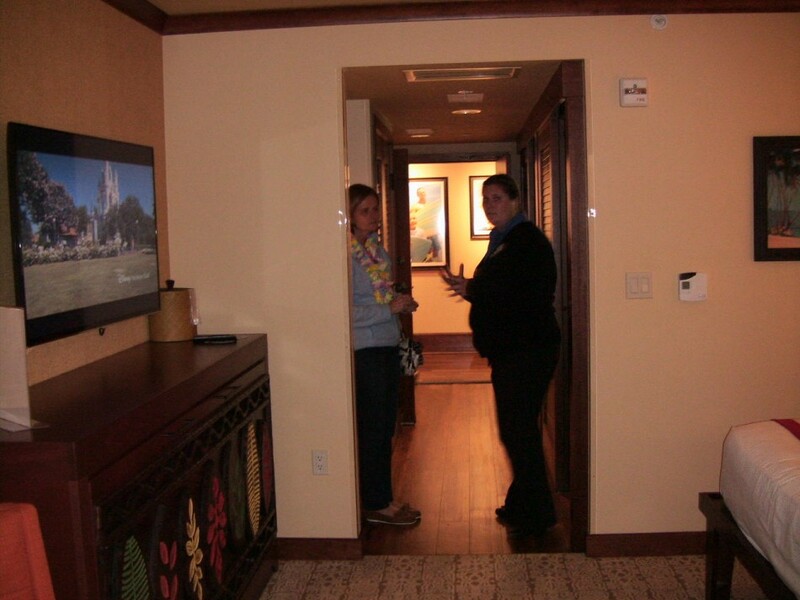 A few people toured those rooms. 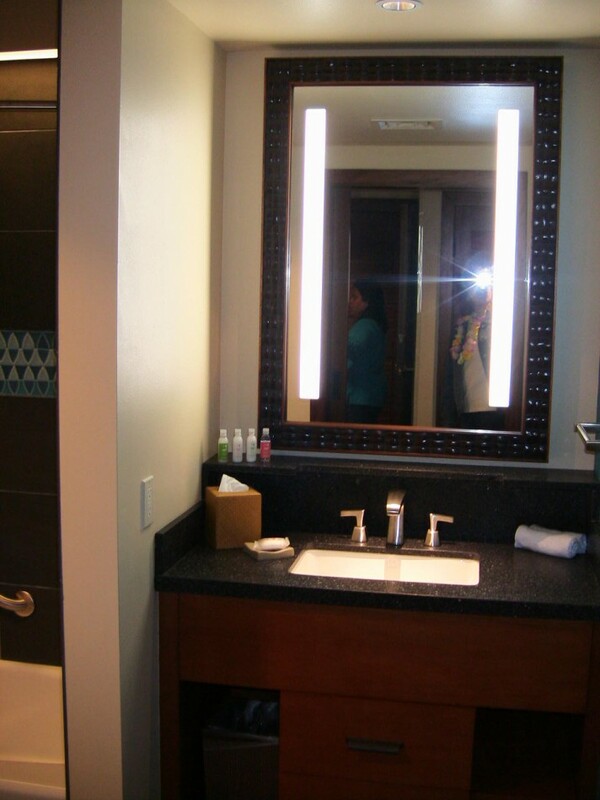 Following that, we all went and checked out the Polynesian Village Resort Studio Villa. 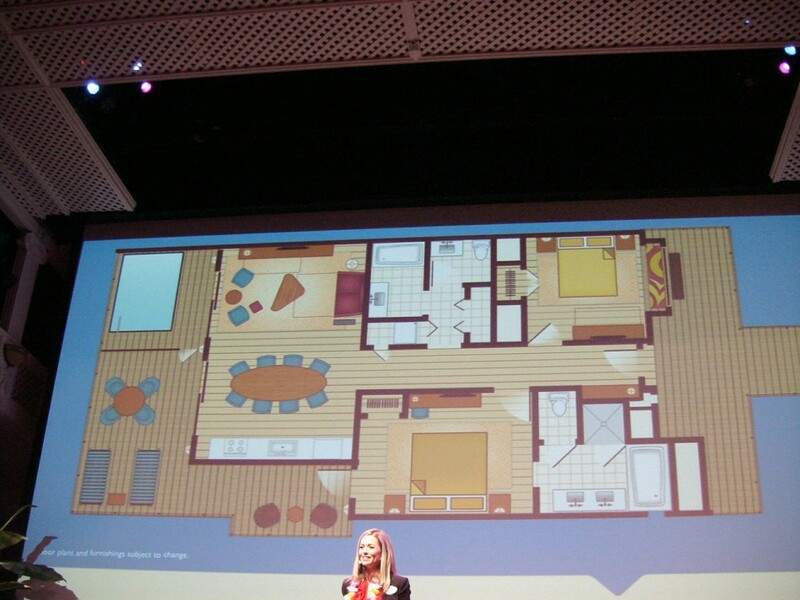 The room layout and size was said to be an exact replica of what the actual villas will look like when open to the public. 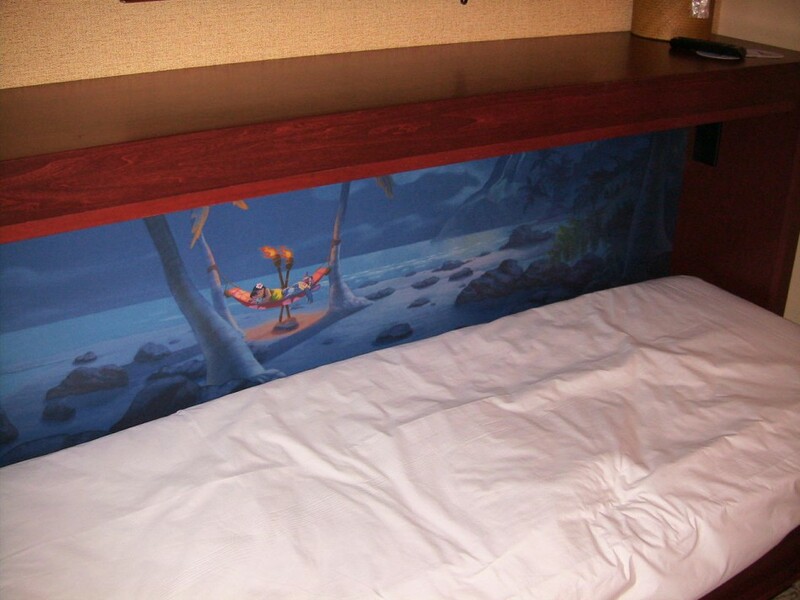 I thought the rooms captured the Hawaiian theme quite nicely and the Murphy bed with the Lilo and Stitch design was adorable. 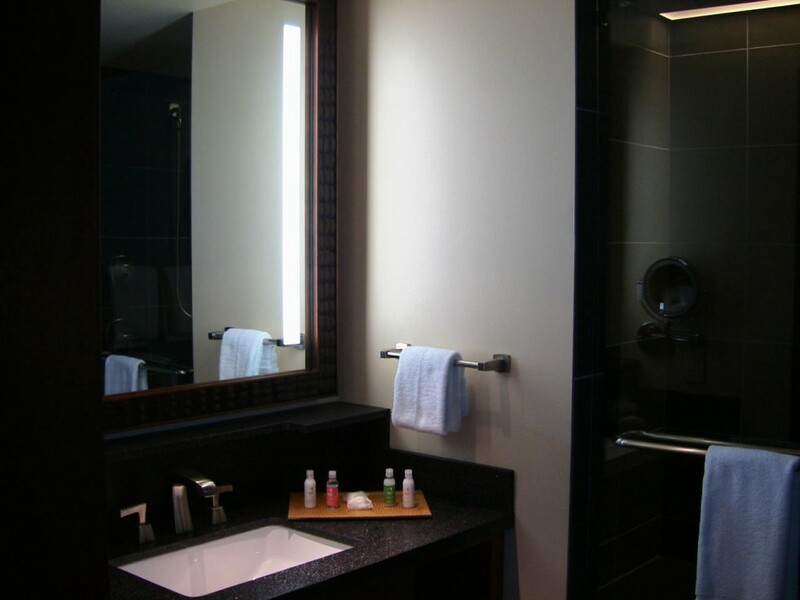 The split bathroom seems like a great idea as two showers are better than one, and each looked to be reasonable in size. After the tour we were led to yet another building. 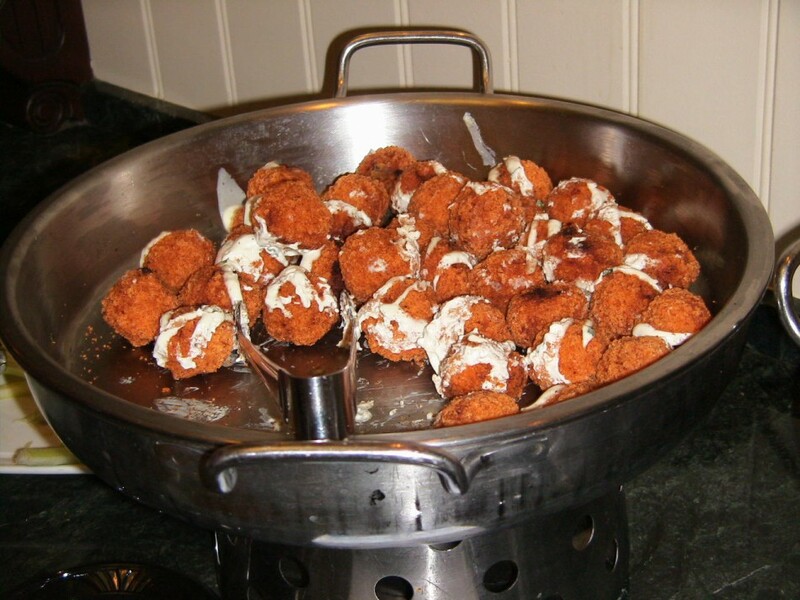 This is where free appetizers could be found. 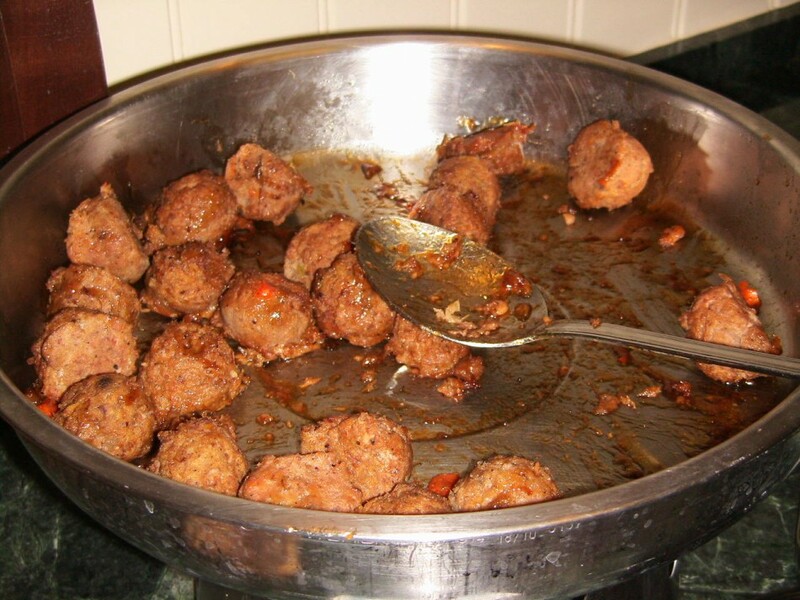 There were chafing dishes with meatballs, spicy chicken and pork dumplings. 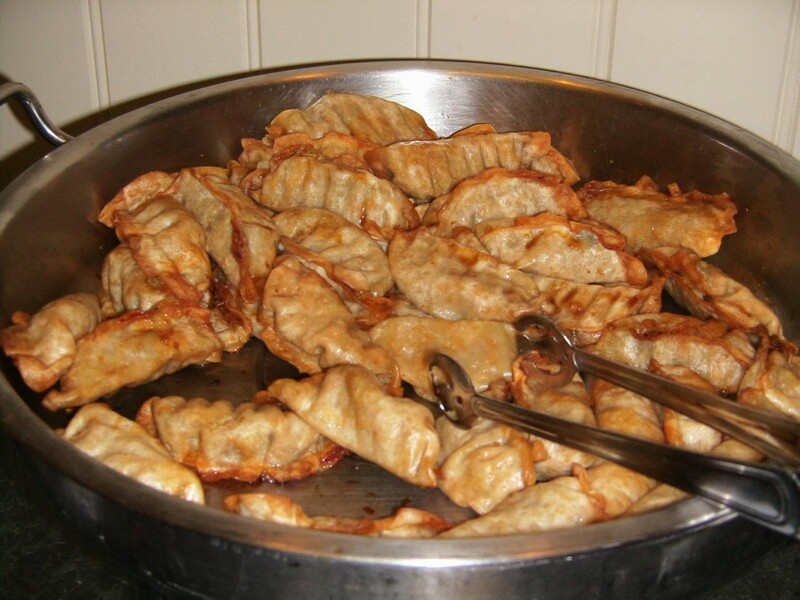 They were okay, but nothing “wowed” me. They also had DVC Guides to talk to if you had any questions or were ready to commit to a purchase. From what I understand there are still tours available such as the one I described. There is no charge and you can bring non-members with you. If you are going to be at Walt Disney World soon and are interested, check to see if there will be a tour offered during your visit. 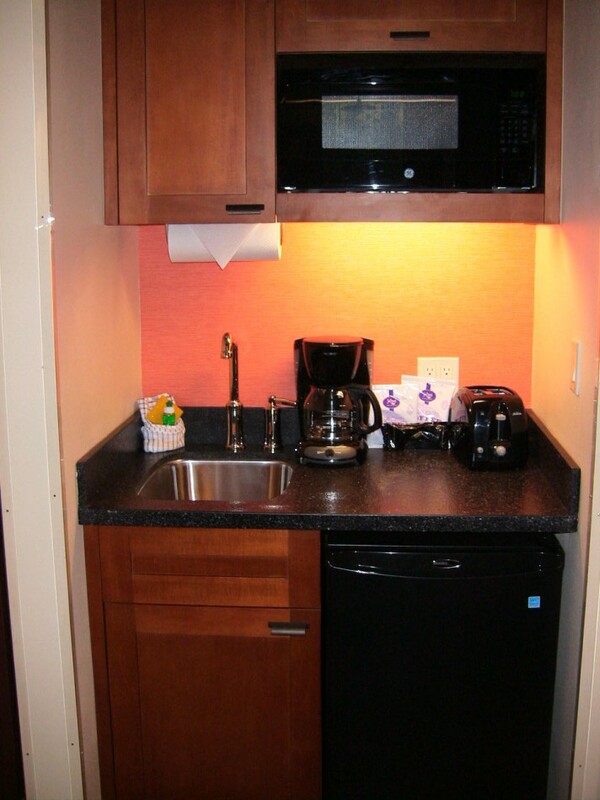 Any DVC Guide can let you know. 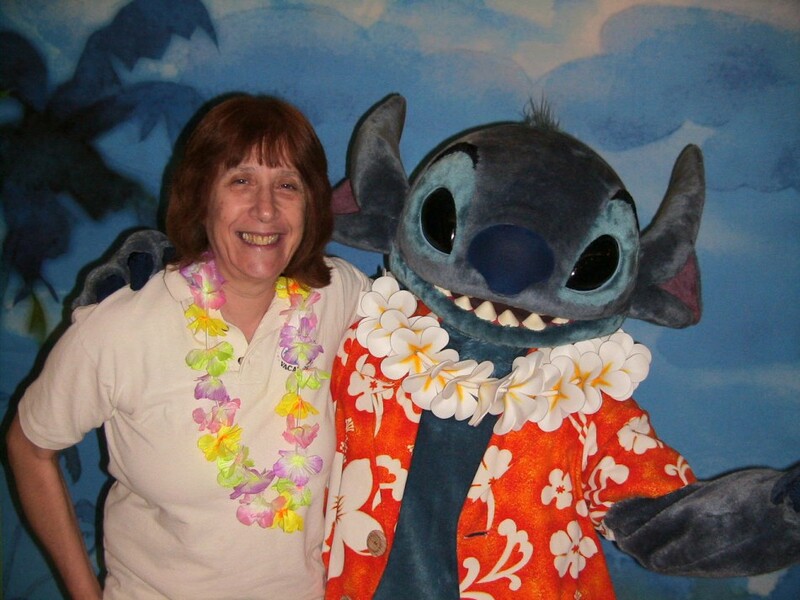 I signed up at the DVC kiosk in the lobby of the Boardwalk Villas. If, during your visit, these more elaborate tours with food and characters are no longer available, you can still go over to SSR and have a look at the Polynesian Village model room. 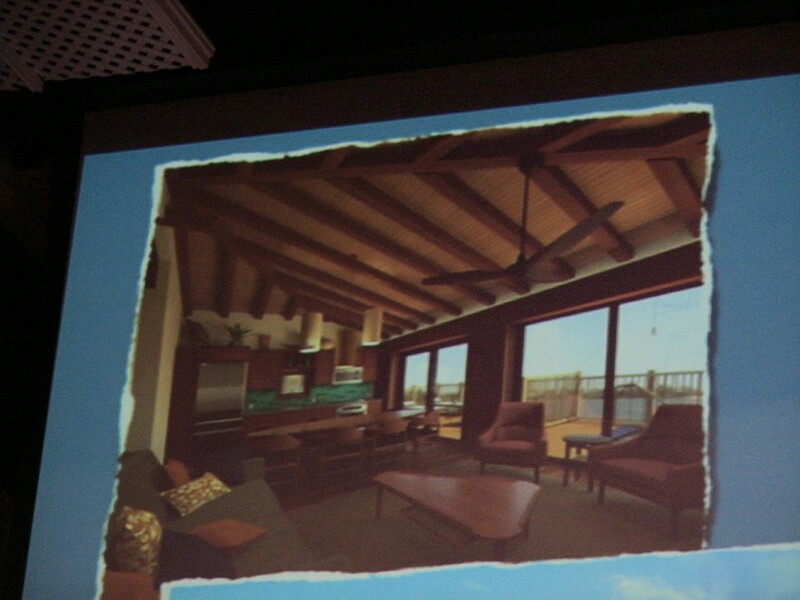 One thought on "Previewing the New Polynesian Village Resort DVC Deluxe Studio"
I can’t wait to rent it from DVC!